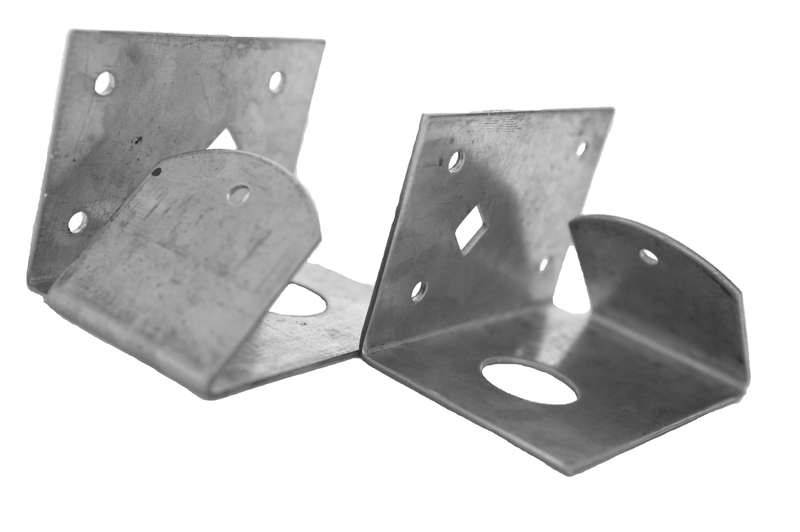 A range of Arris Rail Brackets for use with fencing. 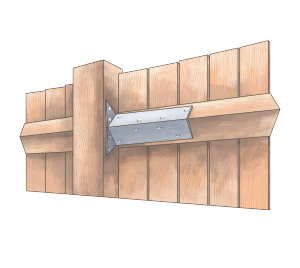 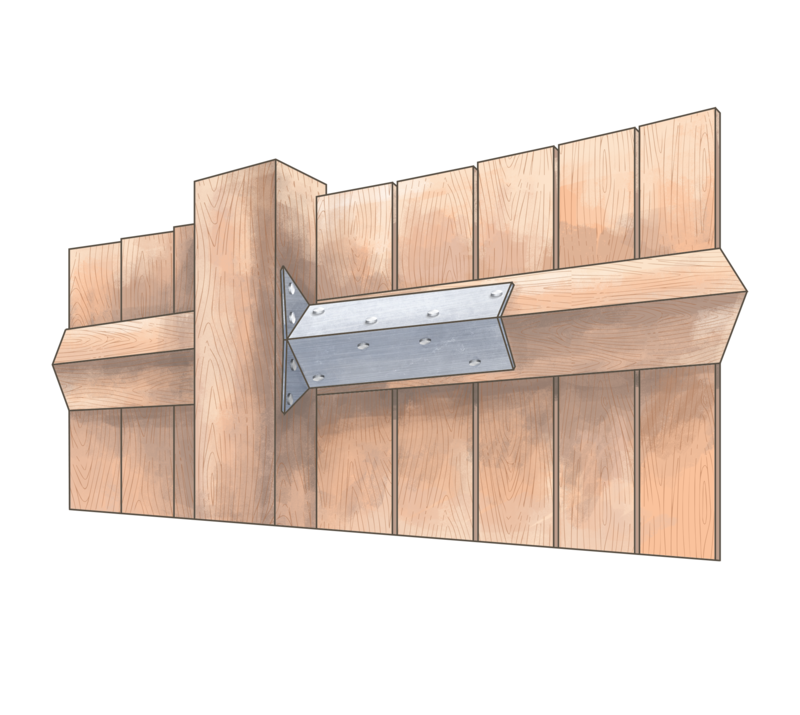 Suitable for securing arris rails to a square fence post when building a feather edge fence or to repair a broken wooden arris rail to an existing post. 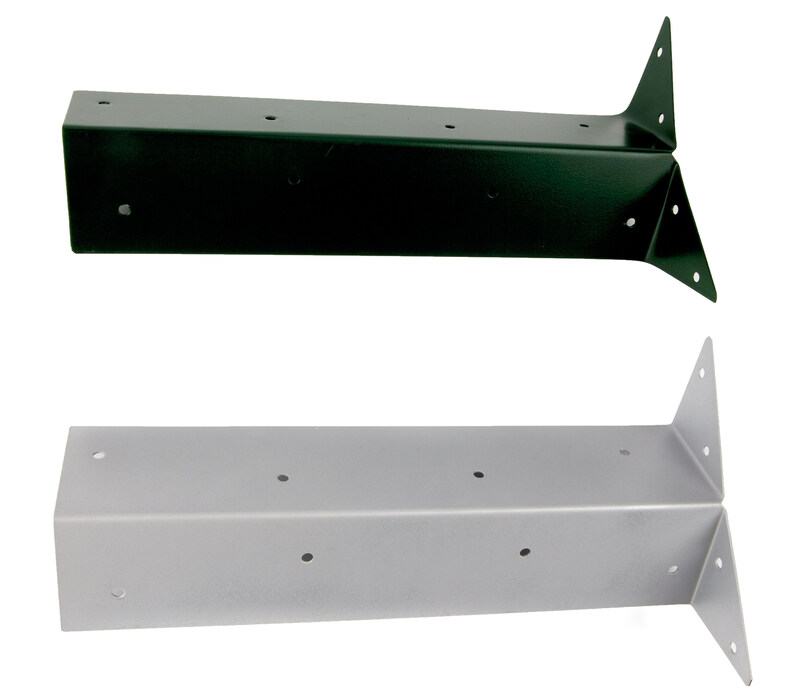 Suitable for fitting plain unended arris rails to blank posts. 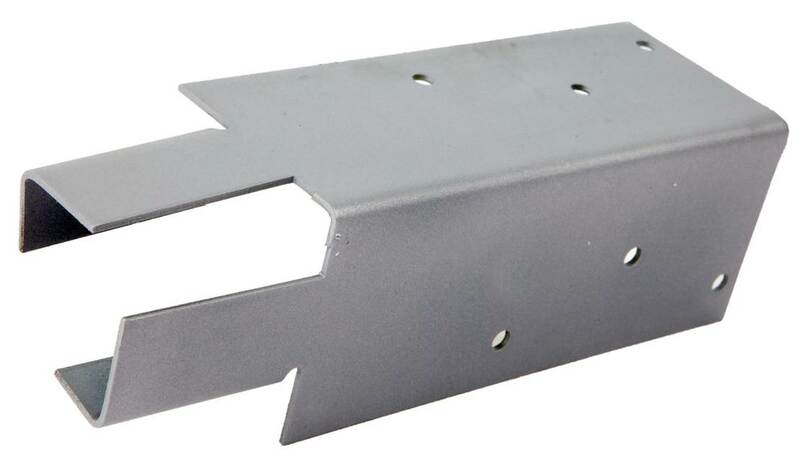 Used for attaching a standard arris rail to a concrete post. Code Length (mm) Box Qty.